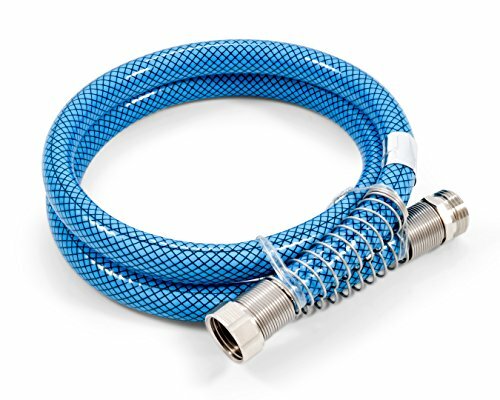 Camco's Premium Drinking Water Hoses are heavy-duty reinforced hoses that are 20 percent thicker than standard hoses. The anti-kink design features machined fittings and strain-relief ends for added durability. The hoses are lead free, BPA free, phthalate free and UV stabilized for longer life. Made with NSF certified hose and made with drinking water safe material. CSA low lead content certified. Complies with California's AB1953 and Vermont Act 193 Low Lead Laws. If you have any questions about this product by Camco, contact us by completing and submitting the form below. If you are looking for a specif part number, please include it with your message.